It took me a couple of days, but I found the video I was shown at the MIT media lab last week in Boston. I don’t have a lot to write. Instead, the video says it all. Here is a story of how studying the nature of blind silk worms and their quest to silk cocoons builds knowledge. When artists and engineers pay attention to the natural world and manipulate instinct, new creations are discovered. I was talking with artists recently about the difference between utility and aesthetics. I pointed to a chalk board and said, this is utility – it hangs in a room and helps us to communicate information to students. Yet, artists who work with chalk make aesthetic brilliance for observers; they manipulate nature (improvise with it). Some are able to take a chalkboard and turn it into a cultural statement of profound creativity. I see the same with this video. 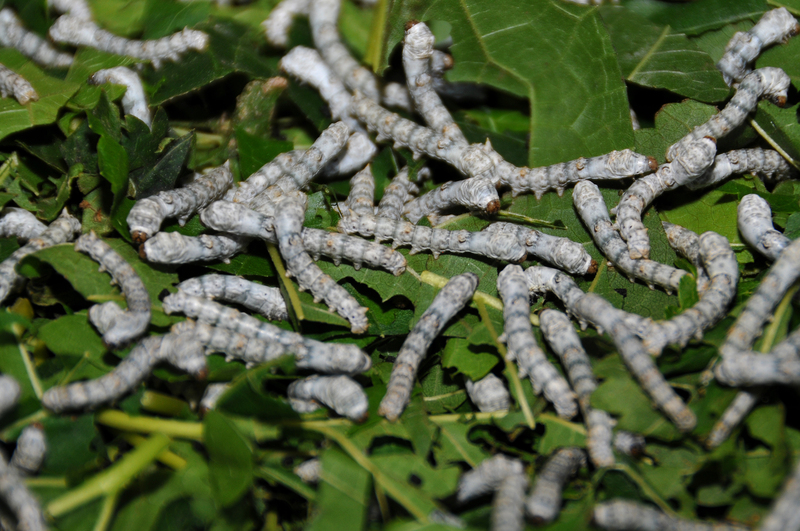 The silkworm threads a cocoon because it is a utility for the silkworm. That is what a silkworm does. Yet, the ingenious mind sees more potential within the silk worm’s nature. He or she studies it, understands it, and thinks deeply about it. From what they know of the silkworm’s nature, new ideas are born. Innovation occurs. The paths for ‘making’ change. This, in my opinion, has much to add to the field of teaching. The teacher who finds a way to look at the nature of school, its utility, and unravel the possibility for art (the art of learning and teaching) has the greatest potential to weave magic in the darkest time of educational reform. It is not a test. It is not a measurement. It is not a statistic. Instead, it is the ability to think critically about everything, together, with the mission to do better for the world. Teaching and learning are natural to our species. Creating a memorable piece of art, however, requires innovation, improvisation, imagination, and play! These are locations the best teachers inhabit despite the national trend to limit what ‘is to be done’ in America’s classrooms.